True technological revolutions only happen occasionally, and the talent acquisition industry is in the midst of a vibrant and far-reaching one right now. For years, talent specialists have focused on writing a better job ad and working hard to place it in a better location for optimum results. After those initial steps, the process has remained more of a "hope for the best" scenario than a finely tuned operation. What's happening now is a total rethinking of how businesses find and reach the best-suited job candidates. The job ad is still important, and so is its timing and location. But under the surface, there's something bigger. It's called programmatic recruitment advertising, and it's changing the way that employers and talent connect. Programmatic has been around for a few years, but many people still aren't entirely sure what it means. As it applies to advertising of virtually any kind, programmatic means using technology to place ads where they're more likely to perform best. With recruitment advertising, it means letting technology make the best decisions for buying and placing job ads where the right candidates will see them. Think of programmatic simply as automation. 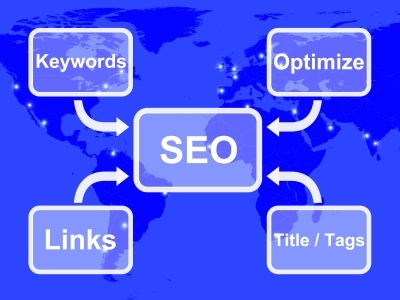 It's the use of software instead of people for buying, placing and optimizing ads. Before you wonder what happened to the human equation, rest assured that it's still there. The difference is with this advanced approach, humans do what they do best so that technology can do what it does best. It's an incredible symbiotic relationship that utilizes every talent to its fullest advantage. It's real optimization. Automation doesn't limit what recruiters and hiring managers can do, it expands on it. Where talent professionals once spent time poring over fine details such as the geographical location and education qualifications of prospective candidates, programmatic recruitment advertising does so automatically. Imagine how much time that can free up in your workday. Because programmatic is so much larger than sourcing, it also means automated and optimized ad buying. That's fast becoming the next big thing with all digital advertising lately, so it's a natural fit with ads of the recruitment variety. Instead of hours spent manually finding the right job ad placement in the right market and the right publication at the right time, programmatic automatically scans every detail that matters to your campaign. And it does so in real time. Notice the definition of programmatic doesn't require any type of ad (print vs. digital). It doesn't require a certain approach on how the ad is measured whether it's based on duration, cost per click or cost per application. All of those details can be programmatically campaigned. Early programmatic adopters are seeing tangible results in several different areas. The first is in job distribution. Instead of a limited reach with a tight focus, which isn't especially efficient or productive, distribution shifts to all sites and not just a few aggregators. The distribution should reach across the Internet and include social media, diversity sites and more. Another area that's gaining ground quickly is the dynamic control of job ad visibility and performance. If an ordinary ad buy is wrong, the ad doesn't get sponsored. It gets very limited visibility, and that seriously impairs its performance. Tweaking the performance of a poorly placed ad usually requires another ad buy. Programmatic skips the hurdles and goes directly for the optimum result. Programmatic also lets you home in on a specific audience. If you can imagine a targeting focus, RealMatch programmatic lets you adjust for it and keep adjusting as you see fit. This includes candidate demographics, the geographical location, qualifications and even behavioral targeting that accounts for whether or not a candidate is likely passive. Predictive analytics is another vital component. If this is beginning to sound like an all-inclusive talent acquisition package, you're not far off the mark. Programmatic should provide you with an accurate prediction of the ad results, accounting for the competitive nature of the job and supply and demand for that particular job opening. This is efficient spend, not costly pay-per-click that doesn't always hit the mark. 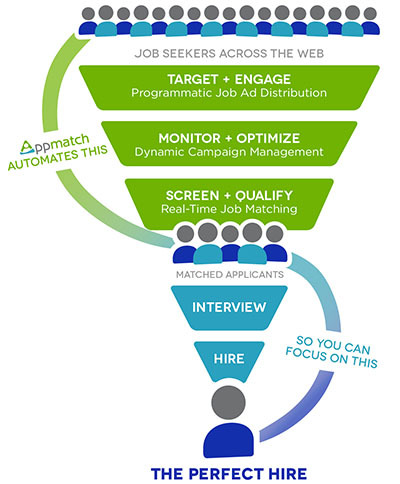 Transparency rounds out the primary benefits of programmatic recruitment advertising. That means transparency on the spend, the job ad performance and the entire process from front to back. While any person is capable of pulling the elements of programmatic together, at least with a lot of technological assistance, the ROI can't compare to the efficiency and effectiveness of automation. Siebel Systems founder, Tom Siebel, says, "Predictive analytics gives decision makers the power to "see around corners." It offers priceless insight that's unattainable without it. That's because programmatic technology is like built-in sensors and a navigational system for your talent acquisition processes. It sees the road better and more thoroughly than human eyes can. And that's how you "see around corners." As it applies to talent acquisition, these navigational and sensor aides don't change processes, at least not altogether. They just manage all of the systems more efficiently with better insight. And that affects your cost of acquisition, time to fill and candidate quality in a positive way. If your GPS or even a self-driving vehicle touted all of the right benefits but couldn't deliver, you wouldn't waste your time with it. The risk would be too great. Fortunately, programmatic recruitment advertising delivers on its promises. The majority of advertisers say that cost reduction ranks high in programmatic benefits. With PPC, you get uneven campaign budget distribution with money wasted on too many clicks for one ad and not enough clicks on another. We call that a blind spot. When the data that we need is all in the past, it's can't help deliver a campaign to its destination. So we focus more tightly and have fewer variables involved with when to stop spending. When a poor performer is identified, spending is reallocated to other jobs that need additional resources to reach peak performance. Early programmatic adopters are already hooked on the overall performance and optimization. And evidence that we're on the right track is the programmatic consumption of ad spend over the past five years. In 2011, the numbers were at about 45 percent. By the end of 2016, programmatic ad spend is predicted to have grown to about 79 percent. Although the technology is still relatively new, programmatic is growing at an incredible rate. 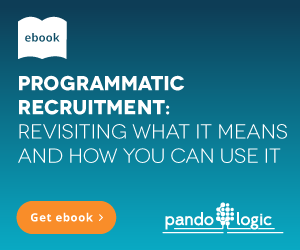 By the year 2020, it's expected that nearly all of all recruitment advertising will be allocated to programmatic campaigns. History shows that recruitment advertising follows consumer advertising trends. That's according to Recruiter.com. Back in the 90s, they explain, AOL and MSN were the top dogs. And it didn't take long for recruitment advertising to follow the consumer path away from print and onto the web with job boards such as Monster. Then Google arrived, which shook up everything with PPC advertising. Next came PPC recruitment advertising through Indeed and other similar models. The most recent game changer in consumer advertising is programmatic. And if history repeats itself, recruitment advertising won't be far behind. In fact, the numbers show that it's already on its way. Advertising is constantly undergoing a process of improving; of making better strides than last year and the year before that. As better technology is developed to broaden ad reach in a more effective way, everyone who is in the business of targeting an audience will likely be on board. That applies to consumer advertising as much as it does with talent acquisition. Today, the best job ad performance available, or perhaps even imaginable with the knowledge that's on tap, is through programmatic ad buys and predictive analytics. Right now, you can automatically analyze accumulated data and accurately predict which ad will really deliver in which market at which distribution sites. More than that, you can optimize the same ad for peak performance across different platforms. Programmatic recruitment advertising brings better results to the table with less time and effort invested by talent acquisition specialists. It's as simple as that, and it's also as complex. It's also a bold statement and an important one. Through programmatic, your talent acquisition budget utilization improves while you see better results that become finer tuned over time. Ads are more relevant and visible for the market, and you can change things up on the fly if performance begins to lag. And with less time invested in the manual details of buying and placing ads, recruiters can focus on areas where they'll make an even bigger impact. The programmatic recruitment advertising revolution is still gearing up. There's no better time for you to learn about the new face of job ad distribution, optimization and every new advance in the talent industry that will reveal itself next. Instead of driving blind and hoping for the best, we can help you see around recruitment corners. 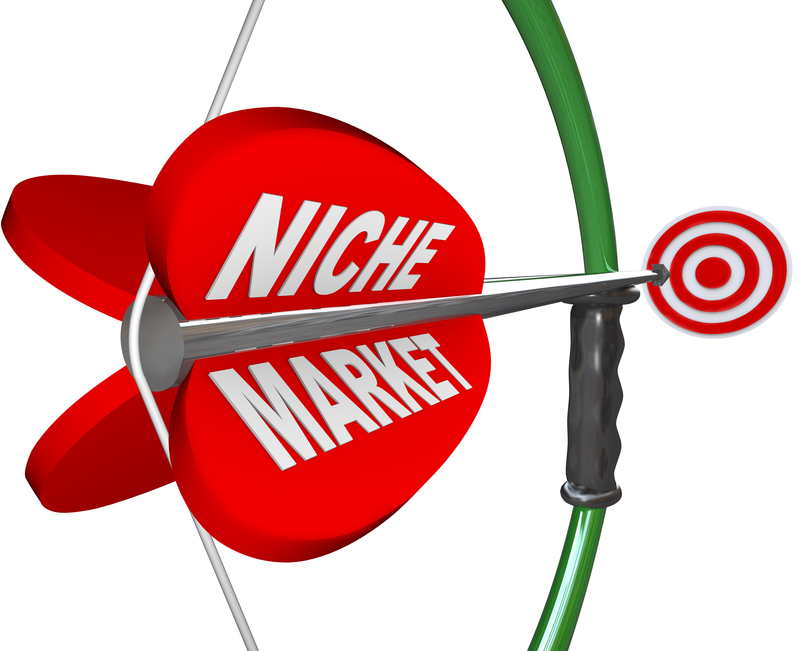 Should Your Job Board Be Niche, or Not?